​Since 1996, death sentences in America have declined more than 60 percent, reversing a generation-long trend toward greater acceptance of capital punishment. In theory, most Americans continue to support the death penalty. But it is no longer seen as a theoretical matter. Prosecutors, judges, and juries across the country have moved in large numbers to give much greater credence to the possibility of mistakes -- mistakes that in this arena are potentially fatal. The discovery of innocence, documented here through painstaking analyses of media coverage and with newly developed methods, has led to historic shifts in public opinion and to a sharp decline in use of the death penalty by juries across the country. A social cascade, starting with legal clinics and innocence projects, has snowballed into a national phenomenon that may spell the end of the death penalty in America. 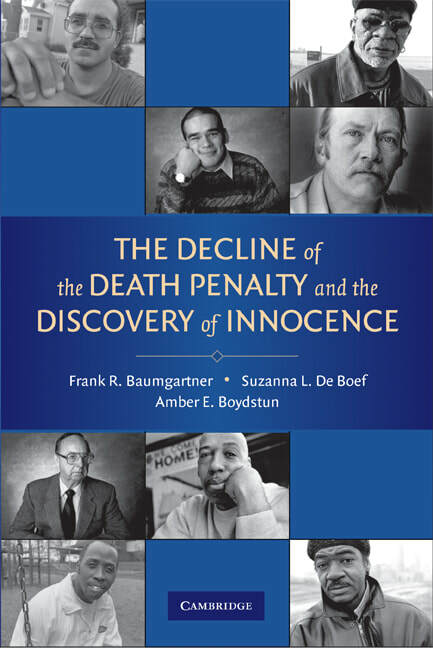 "Although a number of writers have discussed the problem and consequences of convicting the innocent and sentencing them to death, the authors of The Decline of the Death Penalty and the Discovery of Innocence take an interesting and decisively different approach in explaining the current state of the death penalty in the United States."